Capitol Hill, 1325 E Madison St. This nightclub in Capitol Hill is a prime location for eclectic acts from across all genres of music, from indie singer-songwriter and alternative, to metal rock and hip-hop. Keeping in tune with its eccentric vibe, the Asian-aesthetic inspired venue also hosts Motown soul dance parties and drag showcases. A go-to for a solid rock show, this Belltown hop has hosted every major band of the grunge era, including Nirvana, Pearl Jam, and R.E.M. Established in 1991, The Crocodile Cafe briefly closed in 2007 to the grave disappointment of its loyal patrons, only to reopen again in 2009 as The Crocodile. The establishment’s bar, The Back Bar, is a local favorite with karaoke nights, DJ nights, burlesque shows, and some of the best pizza in the neighborhood. Pioneer Square, 800 Occidental Ave S.
Adjacent to CenturyLink Field, the Washington Music Theater (known as WaMu Theater) is a performing arts venue that can accommodate both powered and acoustic concert experiences, as well as host large scale convention events. With its superior sound quality and state of the art design, WaMu Theater has hosted many A-list caliber acts, including Bryan Adams, Daft Punk, and Macklemore & Ryan Lewis. Located right in the heart of downtown Seattle, The Triple Door is an intimate venue for dinner and a show. Formerly a vaudeville house and a movie theater, the main stage has been renovated to facilitate the connection between the artist and the audience through an unforgettable up close and personal live music experience. As they enjoy the entertainment, guests can also treat themselves to the Pacific Northwest and Southeast Asian cuisine and inventive cocktails (sometimes playfully inspired by the evening’s performer). Ballard, 5213 Ballard Ave NW. A Ballard staple for over twenty years, Tractor Tavern is a small, laid-back, and down-home music club and bar that lends the mic to Americana and rock-centric acts, encompassing musical styles such as roots rock and country folk. On weekday nights, there’s even square dancing! Pike Place, 1426 1st Ave. & SoDo, 1700 1st Ave S.
Showbox can refer to two different venues – The Showbox or Showbox SoDo. The original, The Showbox, is an art deco gem across the road from Pike Place Market. Since opening in 1939, the venue has witnessed the Jazz Age, the Grunge Era, and the current new wave of hip-hop and alternative pop. The ballroom has featured music icons like Duke Ellington, Nat King Cole, and Prince, as well as current favorites such as Lady Gaga, Lorde, and The Weeknd. Founded in 2007, Showbox SoDo, a former warehouse turned concert venue with an industrial vibe, is located by Seattle’s sporting fields. The SoDo has hosted the likes of Heart, M.I.A., Gavin DeGraw, and David Cook. 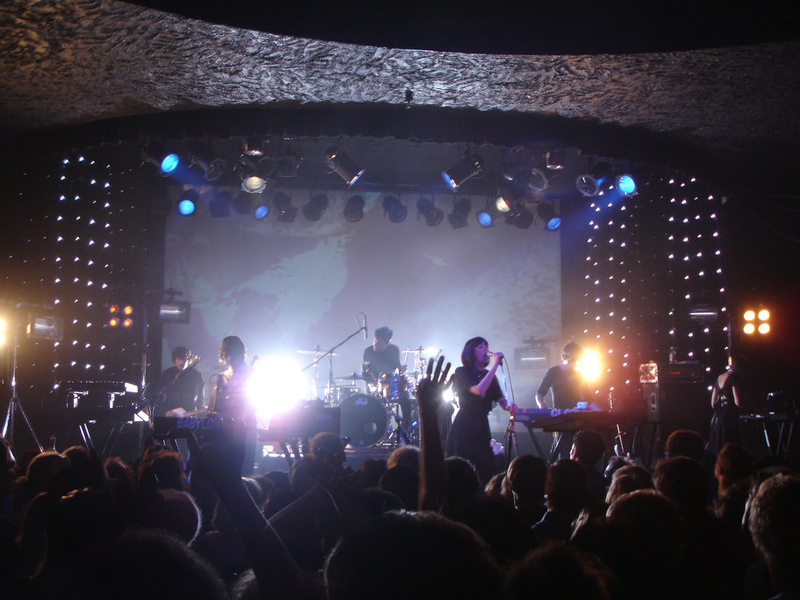 What are some of your favorite concert venues in Seattle? Tell us in the comments below.